It has emerged that a Belcarra man who came before Castlebar District Court last month for scrawling graffiti on An Taoiseach, Enda Kenny's, constituency office in Castlebar was rearrested earlier this month for vandalising the office a second time. 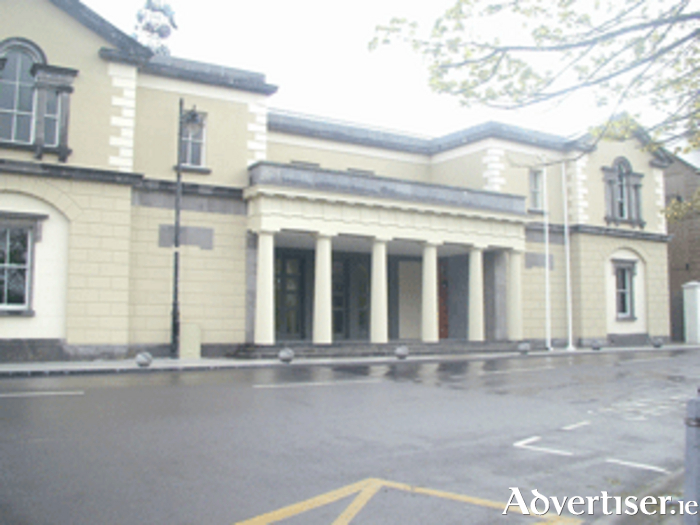 Liam Heffernan, Kilnageer, Belcarra, was back in court on Wednesday. In March, Mr Heffernan (30 ) pleaded guilty to daubing messages including "traitor" and “puppet for the privatisation of our country” on Mr Kenny's constituency office on Tucker Street the previous December. The court heard Mr Heffernan was politically motivated in his actions. Judge Mary Devins had asked the probation services to prepare a report, which was provided in Castlebar court on Wednesday. It emerged on Wednesday that Mr Heffernan had been arrested again for vandalising Mr Kenny's office on May 2 and was also awaiting trial in the circuit court for matters related to Shell to Sea. Superintendent Joe McKenna said the circumstances of the most recent incident at Mr Kenny's office were similar to the first offence but no graffiti was involved. A sign was removed from the office but it was recovered. Mr Heffernan told Judge Devins he was "very frustrated" with the situation in the country. "When I drink, it all bubbles up to the service," he said. The court heard Mr Heffernan has 11 previous convictions, which mainly relate to political protests or activities of some kind. His solicitor, Augusta Tuohy, said her client was seeking a six month adjournment to allow him to address his alcohol use and unemployment. Supt McKenna said Heffernan had recently taken part in an RTÉ reality show called Domestic Divas, which teaches participants basic life skills. Supt McKenna said Heffernan seemed to have applied himself to that "very well". Judge Devins adjourned the case to November for an updated probation report.